The O'Neill House Office Building was constructed in the early 1960s. Originally known as Federal Office Building No. 8, the U.S. House of Representatives voted to name the building after the late former Speaker of the House Thomas P. "Tip" O'Neill in 2012. 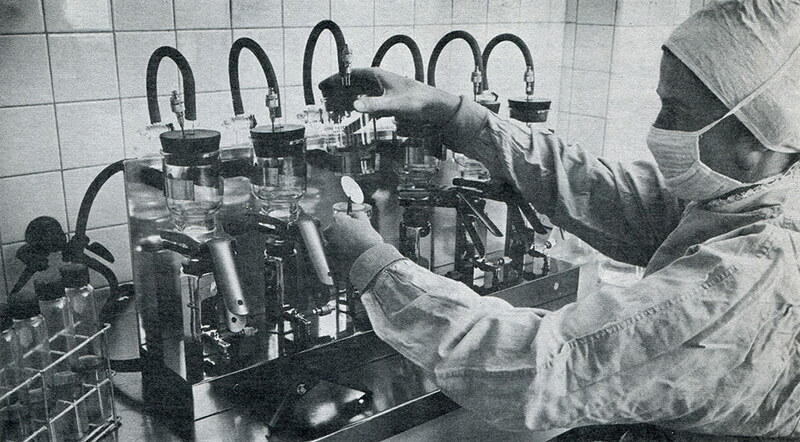 The FDA's chemists, biologists, microbiologists and others oversaw many laboratory-based responsibilities during their time in the building. Staff carried out certifications of all antibiotics and insulin to ensure their compliance with approved standards of quality, purity and potency. They also analyzed samples of foods for residues of pesticides, antibiotics and other matter and performed a number of drug-related studies. 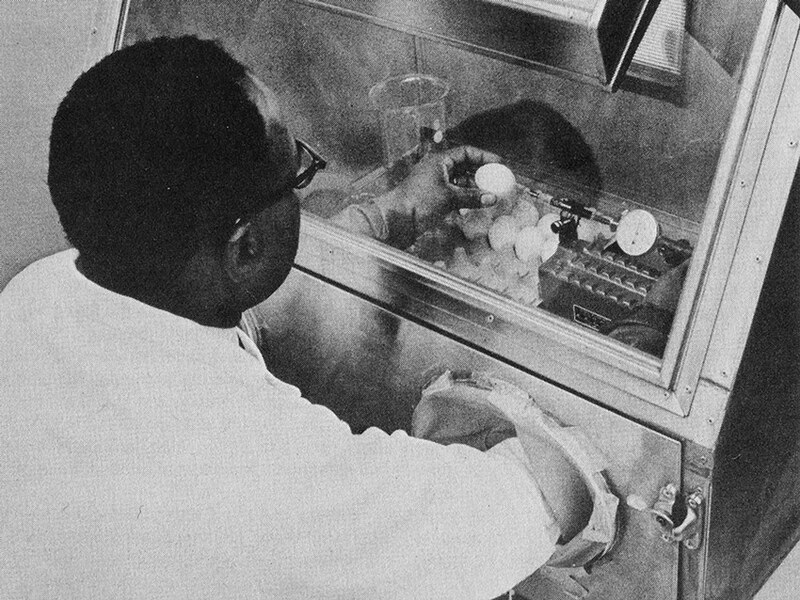 FDA scientists photographed at work for the agency's Food and Drug Review, which was published in 1966. The FDA's laboratory scientists were among the primary contributors to the Association of Official Analytical Chemists Methods of Analysis, a methodology that represented the best known means of determining analytical results. 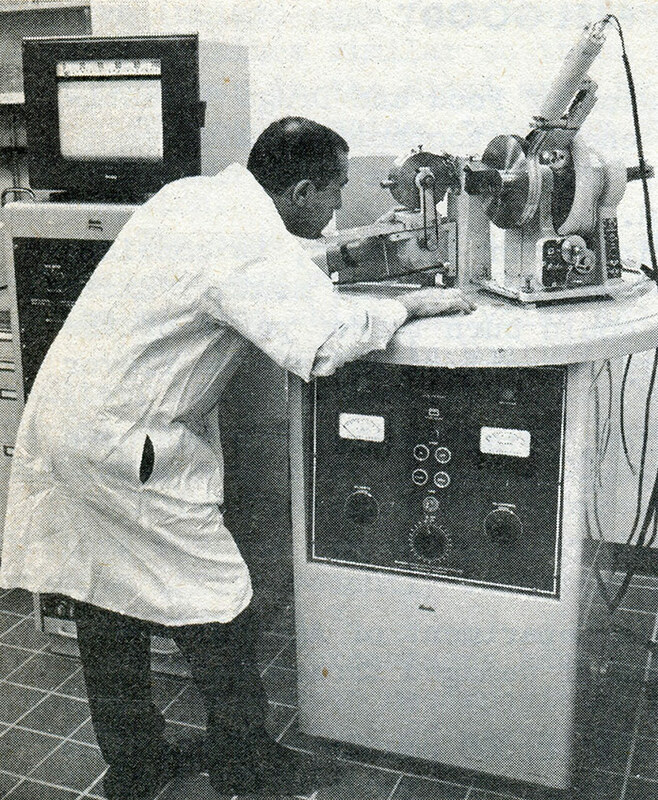 Numerous tests and studies continued for decades in support of the FDA's mission to protect public health. External view of the O'Neill Building just before reopening after its renovation. In 2002, due to the need for more space and the building's deteriorating conditions, the FDA vacated the building. 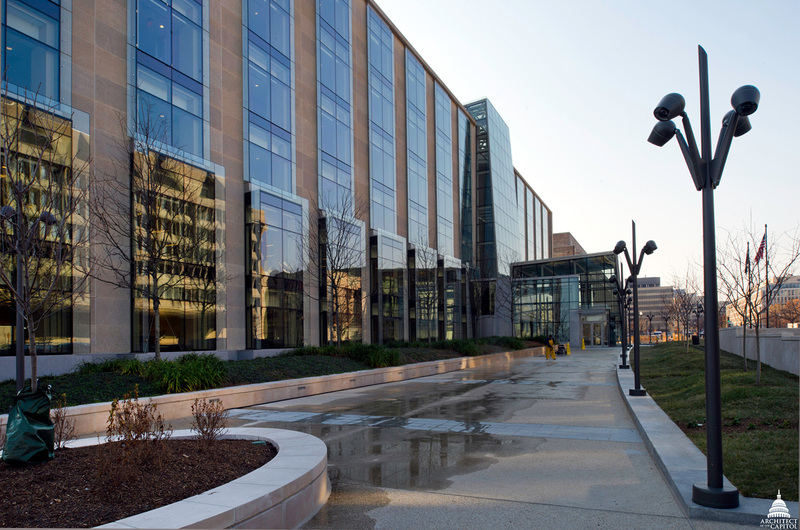 The General Services Administration, the building's caretaker at the time, explored many options for the facility given its prime real estate location near the U.S. Capitol. Federal Office Building No. 8 underwent a major renovation and reopened for occupancy in 2014. 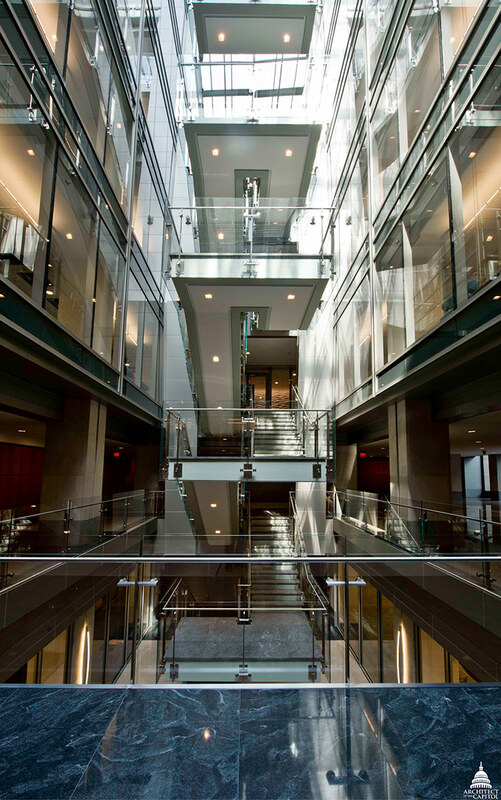 The renovation of the O'Neill Building modernized the facility and added an abundance of natural light. In addition to an open-plan office space, the modernized facility also now includes a green roof and natural light aplenty, something that was missing due to the original building's limited number of windows. 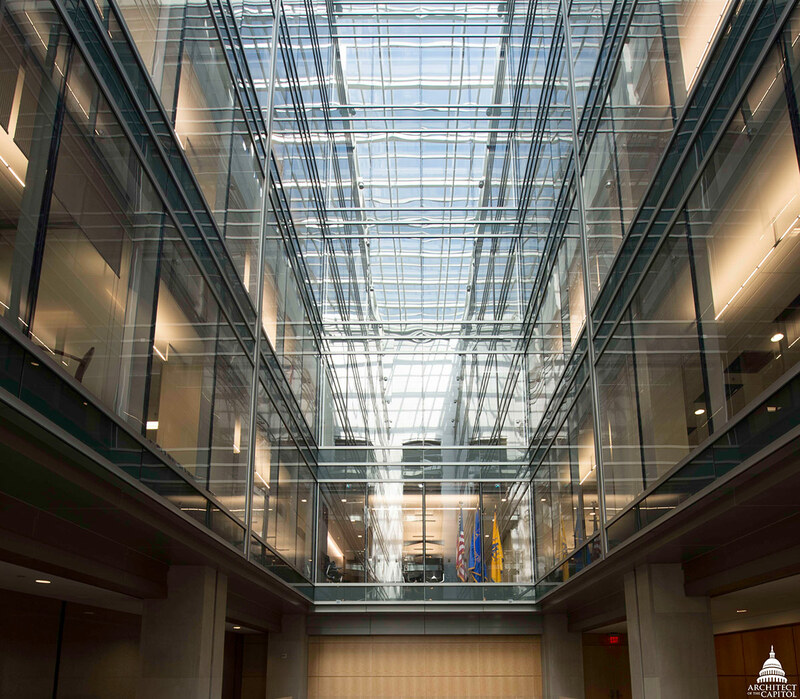 The renovation transformed the dark interior spaces by providing two six-story atriums, a central atrium skylight, and glass curtain walls on the east and west façades. In June 2017, care of the O'Neill Building was transferred from the General Services Administration to the Architect of the Capitol, where its unique architectural details will continue to be maintained and preserved along with the other buildings of the iconic Capitol campus. Great article. A neighbor worked there when it first opened. An outstanding share! I've just forwarded this onto a colleague who was conducting a little homework on this. And he actually ordered me breakfast because I stumbled upon it for him... lol. So let me reword this.... Thank YOU for the meal!! But yeah, thanks for spending some time to talk about this topic here on your web page. How many statues are there in the National Statuary Hall Collection?